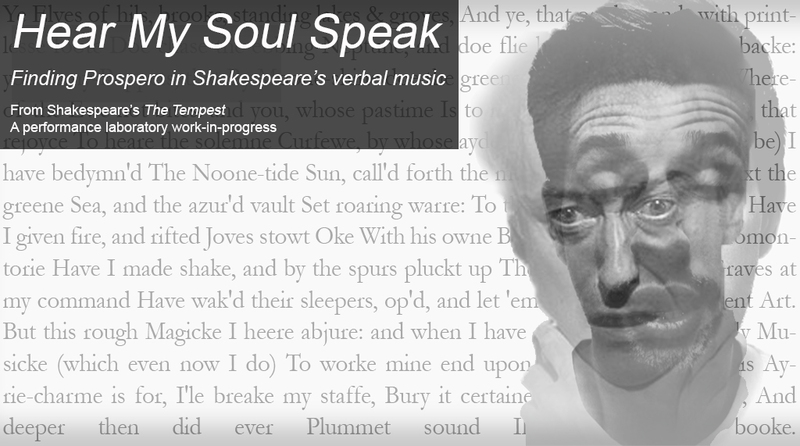 We are creating a new multi-media performance work which is a mapping of the mind and persona of Shakespeare’s Prospero, through the sonic patterning in Shakespeare’s language: its verbal music. We are creating a new multi-media performance work which is a mapping of the mind and persona of Shakespeare’s Prospero. 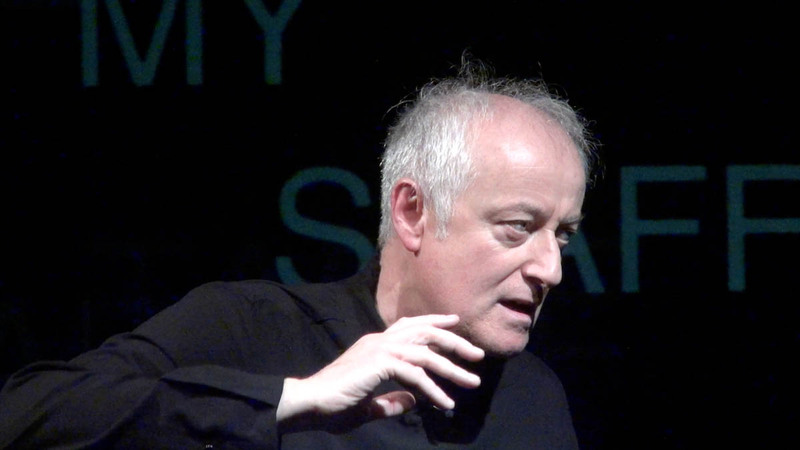 It does so by exploring the dramatic ramifications of the sound patterning in the language of the play, to expose the sound-world Shakespeare creates through sonic patterning in poetry. 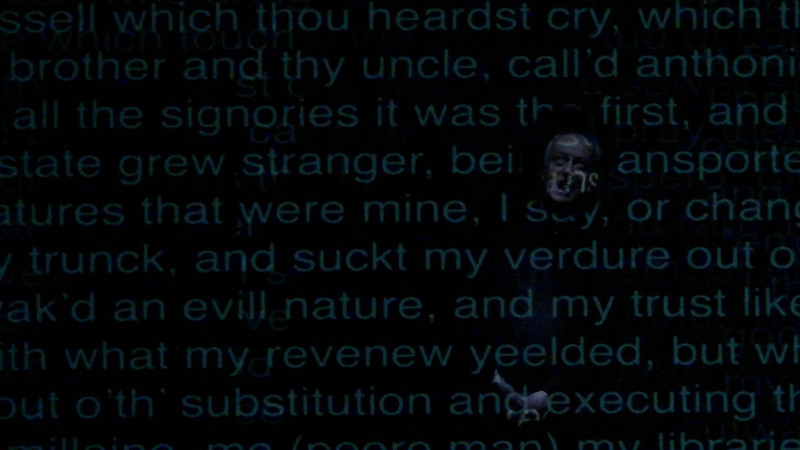 The performance draws exclusively on text from The Tempest. We expose the ‘verbal music’ of the text and juxtapose this against some of the little-known original vocal music for the play written by Shakespeare’s colleague, the composer Robert Johnson. We’ve researched other surviving music by Johnson to reconstruct a more complete indicative original score for the play. 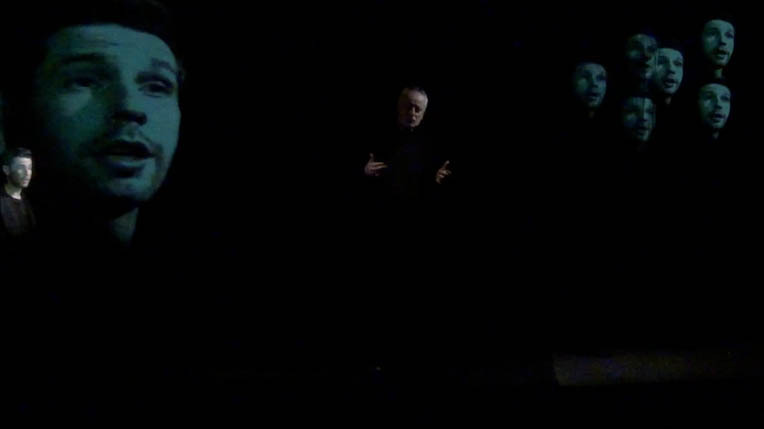 We’re using digital/video art through live projection to explore and expose the sonic patterning of the language visually, and the diffusion of the Prospero persona beyond the confines of the body of the actor who ‘plays’ him. 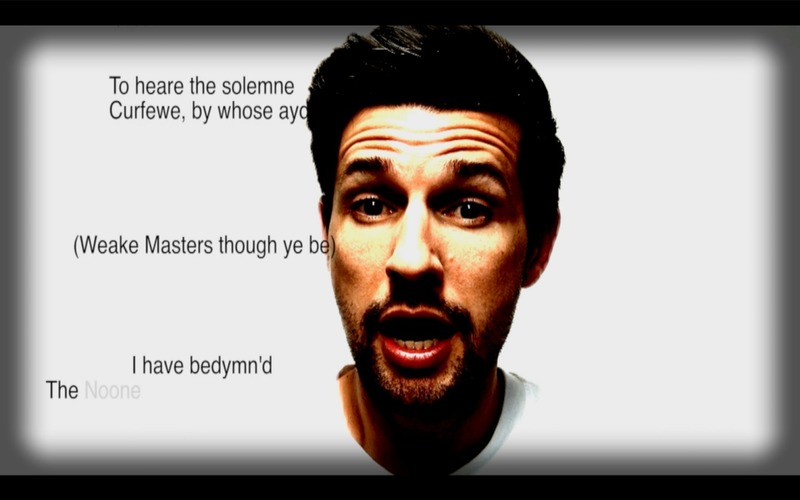 This performance is a case-study for the research undertaken in recent years by director Christopher Hurrell in collaboration with the actor Gerrard McArthur (The Wrestling School) into the somatic implications of sound in the language of Shakespeare. The vocal music is sung by the Australian counter-tenor Russell Harcourt, with digital art by Ben Glover. Thanks to the support of London Theatre Workshop, we have the opportunity to develop and present this work-in-progress from March 23rd – April 14 in the heart of London. To take advantage of this opportunity we need your support. We seek to complete initial development of the work with McArthur in London so that we can can later bring it to Australia as a completed performance. Interactive multi-media work, including digital animation and projection mapping is time consuming. We’ll be conducting a two week rehearsal and development process before a performance for industry guests and live-streaming to our supporters back home. Donations are urgently needed to hire a black-box studio to accomodate rehearsal and performance of multi-media, projection and music. We have equipment sponsors in place for loan of most of the needed equipment. Additional funds raised will go toward technical staff and artist wages. Our aim is to create a 50 minute performance that breaks new ground on characterisation through sound and poetry in Shakespeare, suitable for the international festival touring market. Christopher has directed the world premiere productions of Whore by Rick Viede (Belvoir Street BSharp), the musical Las Vegas (Confidential) at the State Theatre, Men, Love and the Monkeyboy by Caleb Lewis at the Darlinghurst Theatre and Riverside Theatres in Parramatta, The Department Store by Justin Fleming (based on the novel Au Bonheur des Dames by Emile Zola) for Parnassus Den at the Old Fitzroy Theatre, Navigating Flinders by Don Reid at the Ensemble Theatre and Mr Bailey’s Minder by Debra Oswald for Griffin Theatre. 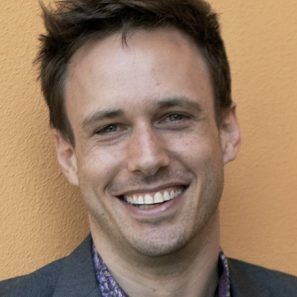 In 2017 he directed the Australian musical The (M)other Life at the historic Wyndham’s Theatre in London’s West End. The public presentation of this creative development work will be at the London Theatre Workshop on April 13 and 14. Australian donors will have access to the presentation via live stream.